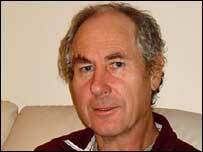 Detectives began reinvestigating the disappearance of canoeist John Darwin three months ago, it has been revealed. 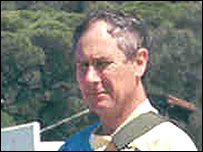 The 57-year-old went missing while canoeing off the coast of Hartlepool in March 2002 and was presumed to be dead. But he walked into a police station at the weekend, claiming to remember nothing since 2000. Cleveland Police, who have arrested Mr Darwin on suspicion of fraud, said new information caused them to reopen the case in September. He is now being driven from Basingstoke police station to be interviewed by detectives in Teesside. Det Supt Tony Hutchinson said: "There was some information which was reported to us three months ago to suggest that perhaps there was something suspicious with regards to his disappearance, and as a result of that information we then began to conduct some inquiries on a financial basis. When is a missing person declared dead? "Certainly three months ago we did not know that John Darwin was alive, and we did not know that until he walked into the police station on Saturday morning. "But it is fair to say that we were conducting some inquiries as a result of some information we had which raised some suspicions." Mr Darwin was arrested on suspicion of fraud at his son's home in Hampshire, shortly before the Daily Mirror newspaper published a photo alleging it showed Mr Darwin and his wife, Anna, in Panama. The newspaper reported that a photo of the Darwins was apparently taken last year in an apartment rented through the firm Move to Panama. There has been no independent verification of the photo. Det Supt Hutchinson said the validity of the photo was an important part of the investigation. He said: "The photograph has to be verified. "I have seen the photograph, I've seen the date that is on that photograph. But of course, as we all know, photographs can be doctored, so it's very important from our point of view that the validity of that photograph is inquired into." Earlier, Anne Darwin told the Daily Mail newspaper she had claimed her husband's life insurance payouts in good faith after he had been declared dead by a coroner in 2003. She added that money might now have to be repaid. Det Supt Hutchinson stressed that an extradition treaty existed with Panama, where Mr Darwin's wife now lives, and that Mrs Darwin might be interviewed in the future. He said: "It is something that we will look at over the coming days, perhaps over the coming weeks. "Certainly extradition, if that was to be the case - and I'm not for one minute suggesting that it is at this moment in time - will take some considerable time. "It is important that we take the inquiry step by step, stage by stage and continually review what we've got." Malcolm Donnelly, the Hartlepool Coroner who conducted Mr Darwin's inquest, told the BBC the original police investigation "indicated there were no suspicious circumstances". He said: "Where there is no body, and there are no suspicious circumstances, [an inquest] allows family and friends to move on and deal with administrative matters which they might not otherwise be able to do. "In this particular case there was really nothing else at the time to find out, so the inquest process was to establish the probable fact of death." Prior to his arrest, Mr Darwin's sons Anthony, 29, and Mark, 31, issued a statement in which they said the news of their father's appearance had come as a huge shock to the whole family, but they were extremely happy. Mr Darwin walked into a west London police station on Saturday and then told police he could not recall anything since 2000 - two years before his disappearance. Mr Darwin's aunt Margaret Burns, who lives in Blackhall, County Durham, said after the arrest: "Well I was absolutely dumbfounded, because I really genuinely believed that he'd died. "I tried to persuade his father to accept that, and to say that it would be quick in that cold water in March, and that he wouldn't have suffered much." Police, who have described the case as "surreal", issued a worldwide appeal for help in tracing his movements over the past five years. They said Mr Darwin appeared tanned and well when he spoke to officers. The Cleveland force has set up a freephone number, 0800 056 0944, for people to call in with information. International callers should phone 020 715 800 10.